“All of that data investment goes into building innovations to make journeys simpler, smarter and smoother for travellers”. Across the rail industry, investment is accelerating, and not surprisingly. According to US-based Grand View Research, the rail market is growing at around six per cent a year, and is forecast to reach $830 billion by 2025. Asia, particularly India and China, is pouring money into trains, and everywhere, rail is being touted as a less stressed and more environmentally friendly way to travel. On the travel tech front, the capabilities of data science are accelerating. Greater data sharing between transport providers and tech companies is taking place, and is even being encouraged by policymakers. Rail is part of this trend (as the EyeforTravel Amsterdam speaker line up indicates). In the UK, for example, the government is directly working on this through its Joint Rail Data Action plan with the Rail Delivery Group, which is designed to enable more intelligent use, and greater sharing, of data across the industry. Crowdsourced seat-finder feature BusyBot is another result of Trainline’s data driven efforts, as is its recently launched AI-powered voice disruption alerts. In what it claims is a world first, the system reads train operators’ tweets on disruption and automatically shares voice updates to relevant customers if their journey has been affected. Put simply, data science is the application of scientific principles to build innovative applications, and that is exactly what Trainline, which sells rail and coach tickets for more than 180 companies worldwide, is doing. However, data science is no doddle, and finding talent that ticks all boxes isn’t either. Of course, there are number of essential skills required for the discipline, some obvious, and some not so obvious. It is in this last mile that individuals need real drive to push through and deliver beneficial impact for customers, and that’s not always easy to find. Although, perhaps, not automatically associated with data scientists, another important skill is storytelling. 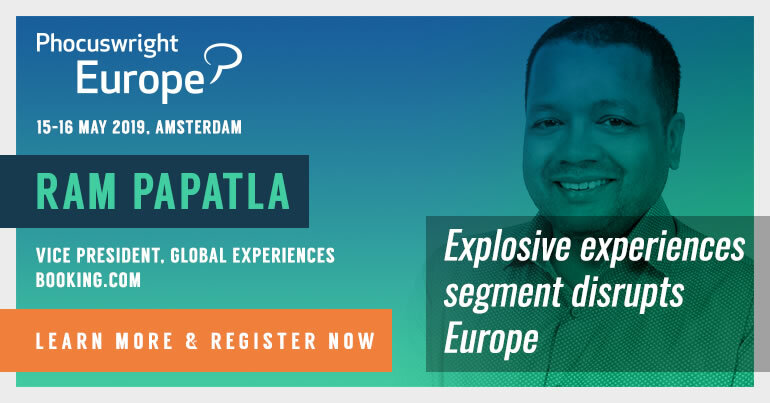 To stay on top of industry trends, and to find the best skills, Trainline’s growing team of data scientists get involved in external meet-ups throughout the year and speak at industry events like EyeforTravel Amsterdam. Weldon acknowledges that the tech giants, aka Google, Facebook and Amazon, are able to do amazing things with big data but argues: “It’s short-sighted to think the only companies that can effectively innovate [with data] are in Silicon Valley”. So what is the trick to becoming more effective with data? Weldon believes firms need to ensure their attitude towards data is always aligned with their aspirations. “AI is at the top of a pyramid of capability, it doesn’t work without the foundations,” he says. Anyway, Trainline isn’t short of ‘big data’ in the truest sense of the phrase. The firm helps customers take over 127,000 journeys every day, sells over 175 tickets every minute to people in more than 170 countries around the world. “When it comes to travel and journey planning we are in a fantastic position to build machine-learning models that use this data effectively,” says Weldon, who argues that in data science data is the fuel, and if it’s of low quality then the work will be too. The worst thing that can happen, he says, is investing time and effort into building something from data that turns out to be of poor quality. To avoid this, Weldon, who will share more in Amsterdam, has this advice. “When you work with a wide variety of third-party data (such as that from train or coach operators), it can be altered without you always being aware,” says Weldon. For this, Trainline build anomaly detectors – essentially, algorithms that understand the make-up of the data and monitor for any changes over time. So, if things look unusual, relevant members of the team can be alerted, and investigate. 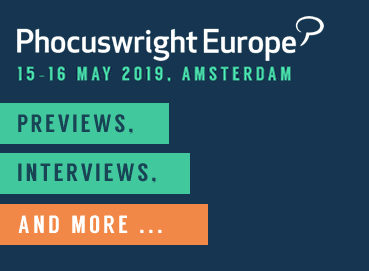 In just short of two months, more than 300 travel executives and innovators will gather in Amsterdam for EyeforTravel Europe, where Fergus Weldon, director of data science, Trainline, will be speaking.